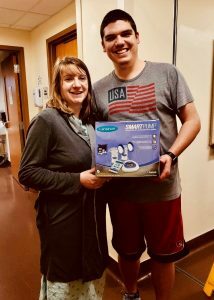 The Evans family has a particular health insurance that does not offer breast pump coverage and were unable to afford to buy one. 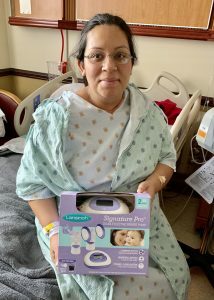 The CHRISTUS Southeast Texas Foundation was thrilled to be able to offer this amazing gift. “In order to comply with our Baby Friendly Designation guidelines, we are to provide resources for families to help them successfully breastfeed. 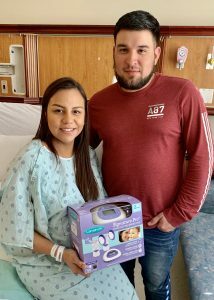 With approximately 60% of our mothers returning to work after 6-8 weeks, a double electric breast pump is essential for continuing breastfeeding during this transition. 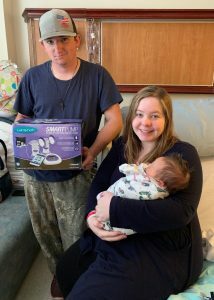 A small population of patients is unable to obtain a pump through private or medicate insurance providers and do not have the means to purchase a pump for home use.